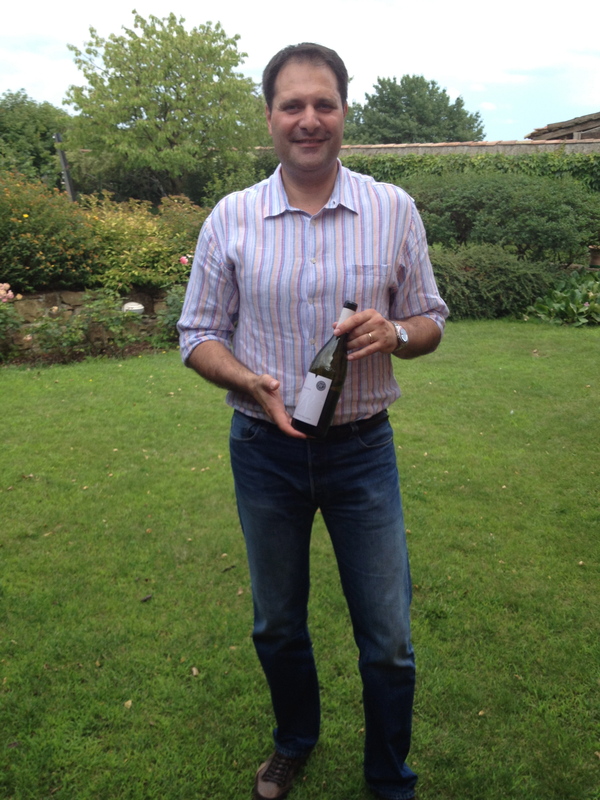 This is the last article about my visit to Friuli as judge for the 2014 Pinot Grigio Challenge and subsequent visit to some of the winemakers. After the Challenge ended, I went to the Lis Neris Winery and tasted wines from Lis Neris and Ronco del Gelso, which I have already written about, and Tenuta Villanova. 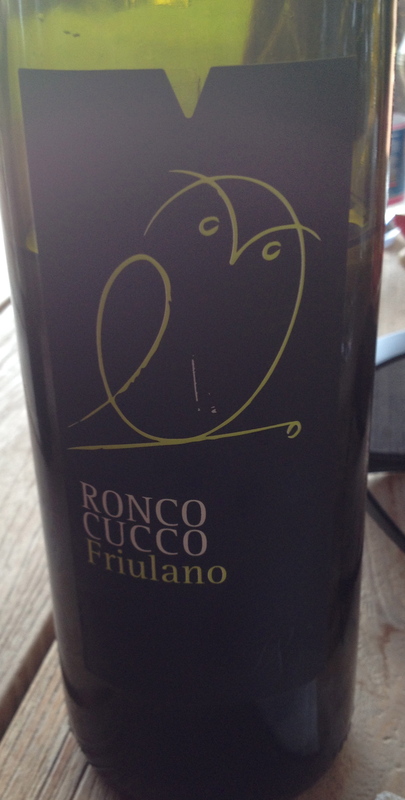 Friulano “Ronco Cucco” Collio DOC 2012 100% Friulano The soil is sandstone – marl and the exposure is northeast southwest. Training system is guyot and the vineyard is at 80 meters. After a gentle pressing of the grapes, the must is cryo-settled, then fermented at controlled temperature. The wine rests on the lees with frequent bàttonage. If you ask for white wine in Friuli, this is what you will get. As a recent article in the New York Times stated, this is “the house wine of Friuli.” It is a dry complex wine, with a hint of wildflowers, citrus fruit and a nice touch of bitter almond on the finish. This wine had hints of ripe apple, a touch of banana and a touch of vanilla. 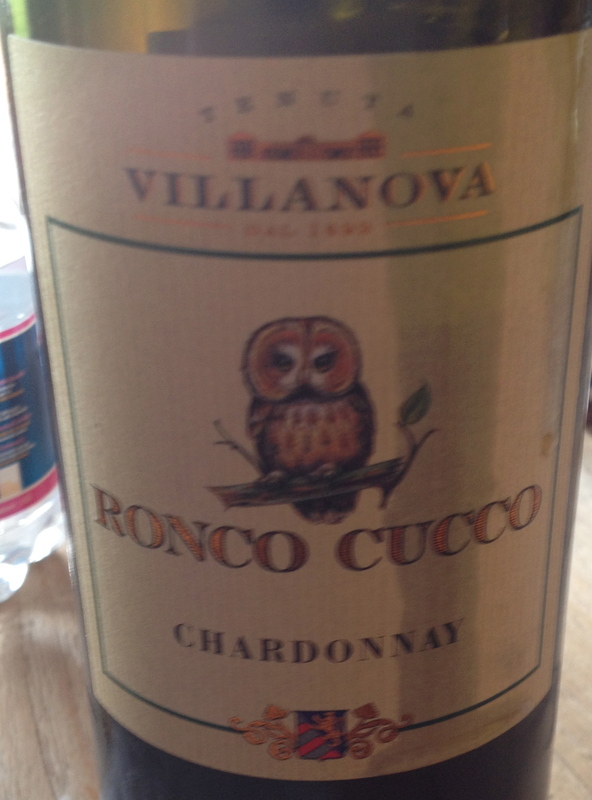 Chardonnay Ronco Cucco DOC Collio 2008 100% Chardonnay. The soil is sandstone marl and the exposure is north south. The vineyard is at 90 meters and the training system is guyot 2.40 X 1.00m. After gentle pressing of the grapes, the must is cryo-settled, then fermented in 225 liter oak barrels. The wine rests on the lees until the following May, with frequent bàttonage to keep the lees in suspension. This wine has hints of ripe apple, a touch of banana and vanilla. Malvasia Friuli Isonzo DOC 2012 100% Malvasia Istriana. The soil is medium textured alluvial, the exposure is northwest southeast, the elevation is 51 meters and the training system is guyot 2.40 X1.00 m. The grapes are hand picked; cold maceration takes place in the press before the grapes are gently pressed. The must is cryo –settled, then fermentation at a controlled temperature. The wine rests several months on the lees. 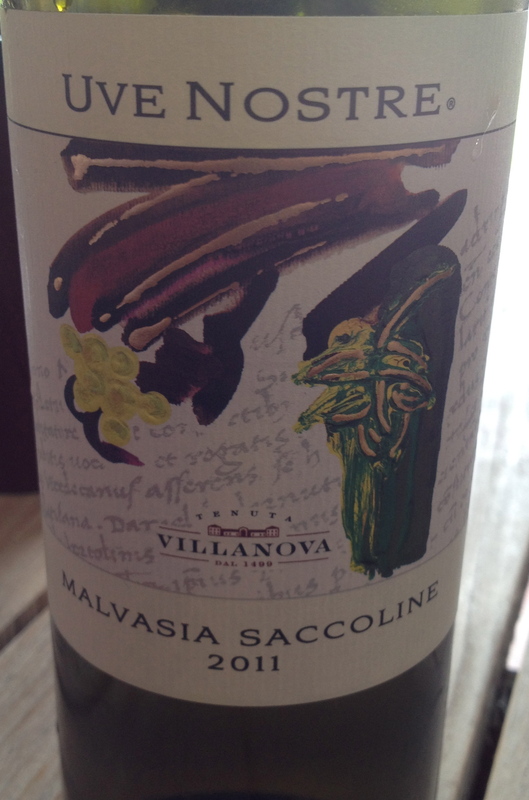 Malvasia “Uva Nostra” 2011 100% made from Malvasia from the Saccolina vineyard. The harvest is by hand and takes place at the end of September. There is a soft pressing of the grapes followed by a cold settling of the must and fermentation is at a controlled temperature. 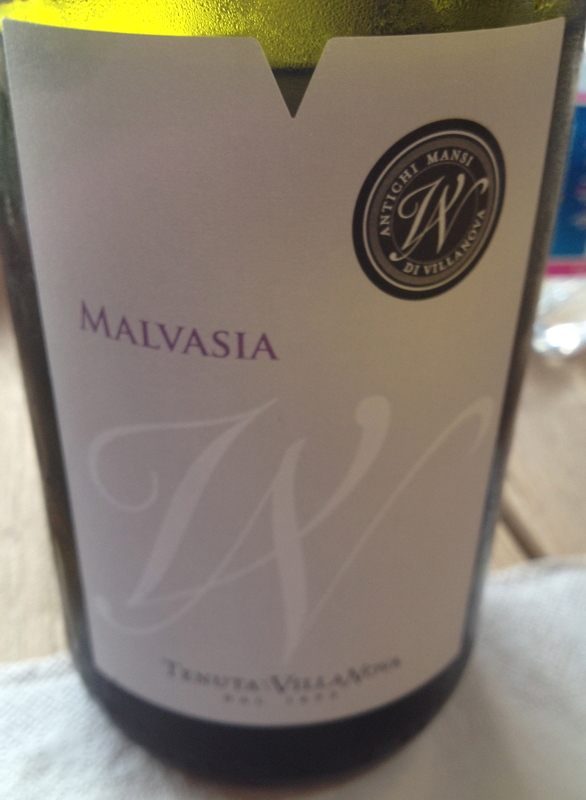 Malvasia from the right producer can age and I was very impressed by the aromas and flavors of this wine. It has hints of lime and ripe fruit with a long almond like finish.